Tania Bukach never planned to be an accountant. Originally from the west coast of Canada, Bukach graduated from the University of Richmond in 2012 with an interdisciplinary studies degree focused on historic costume design. “I loved my costume classes and decided to follow that passion,” said Bukach. She started a freelance costume design business, opened an Etsy shop and created costumes for theater and TV clients including the PBS television show Mercy Street and the AMC drama TURN: Washington’s Spies. After spending a tax season at H&R Block, Bukach’s interest in accounting was piqued. She worked for a while as an office manager in a chiropractic office but she wanted to do more. “I never thought of accounting as career,” said Bukach. 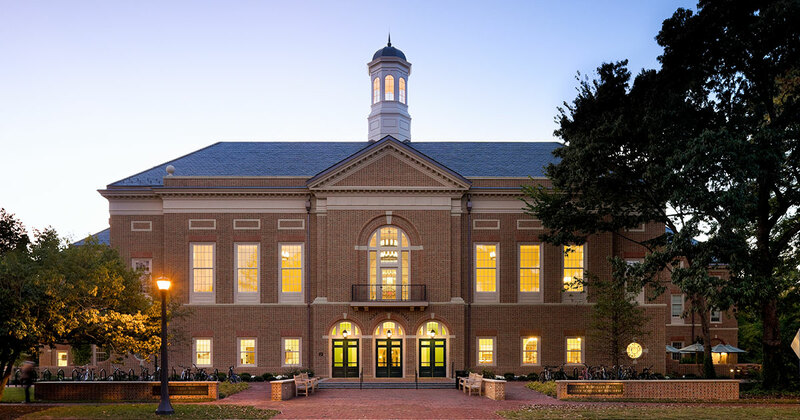 “What really made me decide to go for it was William & Mary’s accounting boot camp. I didn’t realize I could go straight into a Master of Accounting program without having taken a single accounting class." Last year, Bukach enrolled in the Mason School’s Master of Accounting (MAcc) program and signed up for the optional boot camp, an intense series of courses that prepares non-accounting majors for the MAcc academic year. Bukach quickly learned that she was not alone in her circuitous pathway to an accounting career. One of the highlights of the MAcc program for Bukach has been the Integrated Winter Field Experience where she gained first-hand experience in a nine-week internship at the worldwide accounting firm BDO.